Nelle is happy that Michael has accepted her for who she is and wants to make their living arrangements more permanent. Michael considers it. Michael mentions the launch party, but Nelle says she has tickets to a play in the city. She manipulates Michael into agreeing not to go to the party. Jordan and Curtis are planning a vacation together when she gets a call to meet Stella at the hospital. There, Stella tells her about a PCU student who was brought in for surgery. The student is undocumented and will be deported. Stella&apos;s fighting for the student, but Jordan&apos;s quick to point out that it&apos;s a federal matter. Jordan talks to ICE agent Briggs. She makes up a story that the student is undercover, helping her take down drug dealers on campus. Briggs is forced to back off, which impresses Stella. Klein requests a meeting with Andre. He&apos;s forced to delay it when Liz and Jake arrive to talk. Jake explains about seeing the man in the park who had his father&apos;s old face. Liz counters that neither she nor Jason saw anyone. Andre wants another one on one session with Jake and assures Liz not to worry. Carly is sad that JaSam are pulling away. She worries she&apos;ll see less of them once they become media moguls. She misses how Jason used to be. Sonny shows her the note and explains about the man on the bridge. Sonny says no one except him and Jason knew about the money. He&apos;s certain whoever was there wasn&apos;t sent to ambush him. Ava stops by to thank Franco for paying Kiki&apos;s tuition fees. She says she&apos;s reopening the gallery and wants to represent him again. Franco says he&apos;s not doing commercial work anymore. Ava wants to see what he&apos;s working on. When she sees Jason&apos;s old face, she says she recognizes it. Franco says it&apos;s Jason&apos;s original face and wonders how she could recognize it since she never knew Jason with that face. Ava covers and says she likely saw an old photo. Six lets himself into one of Sonny&apos;s safe houses and disarms the alarm system. Then, he spends 20 minutes cleaning out his guns, which made for riveting television. Sonny meets with Diane to ask her to get an injunction against the Feds to stop them from bugging everyone&apos;s phones. Max calls to let Sonny know that someone set off the code at the safe house. Carly runs into Nelle and mentions the launch party. Nelle tells her that she and Michael have plans to go into the city, which does not sit well with Carly. Curtis wants to update Michael on his latest Nelle news. Michael is not interested because he&apos;s moved on. Curtis says he needs to see this through and mentions that Nelle spend most of a year in a mental institution. Man, Nelle has done more in her twenty-something years than most people in their entire lives. Klein meets with Andre, who angrily tells him Six was watching Jake in the park. Andre is worried that Six will make contact with someone soon. Klein says he knows where Six will be tonight and will intercept him. Liz tells Franco that she&apos;s worried about Jake because he&apos;s obsessed with how Jason used to look. Ava goes back to the studio to take one of Franco&apos;s drawings of the original Jason. 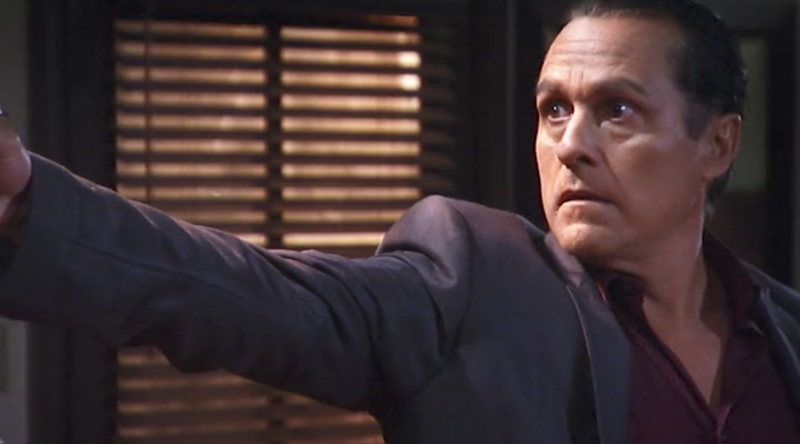 Sonny heads to the safe house to check it out and comes face to face with Six.